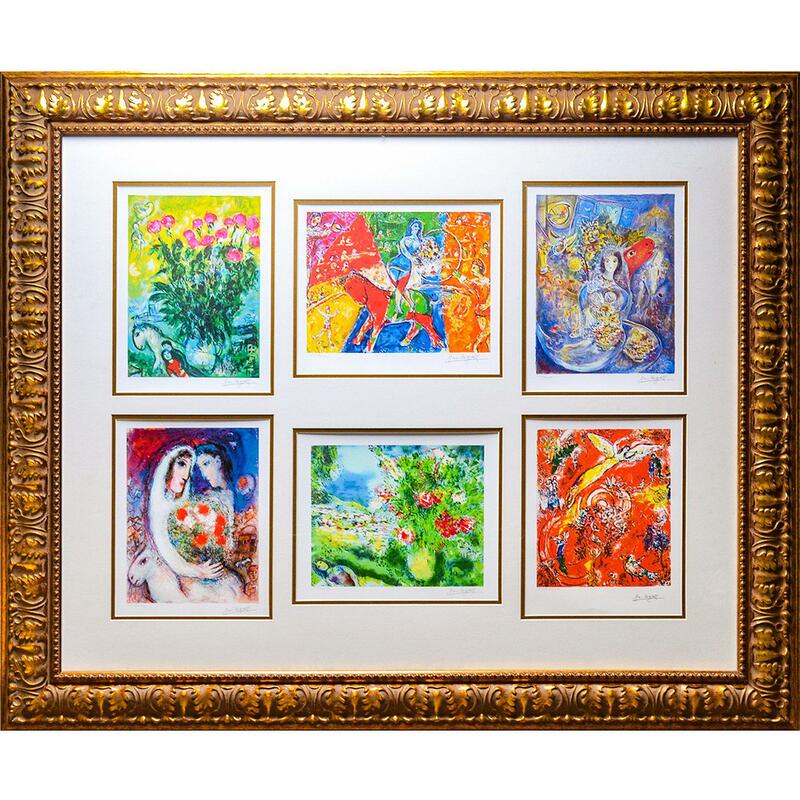 Six giclee artworks by Marc Chagall - Bella, Circus Horse Rider, Les Roses, Marriage, Paysage and Angel. Frame measures approx. 37 x 45 inches.